Charting and simple at-home tests can give you an excellent picture of your fertility patterns, but for clear, easy-to-understand results it's hard to beat the accuracy of a fertility monitor. A Fertility Monitor is an excellent, effective way to pinpoint exactly when you ovulate. A fertility monitor is a more expensive option than other at-home solutions but it offers big benefits, especially if you have irregular cycles or want to get pregnant right away. Your chart may leave you completely confused if your cycles are long and you have many patches of fertile fluid. A fertility monitor will absolutely pinpoint ovulation by a variety of signs. 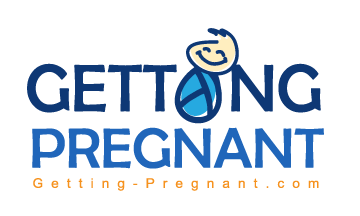 And if you need to get pregnant right away, it lets you know exactly when your fertile days are with just a slight learning curve. The Ov-Watch is a pretty new player in the fertility game and it's getting good reviews. It works by detecting chloride-ion levels in your perspiration. That's right, your sweat can help determine when you're ovulating! If this wasn't so awesome it might be gross – but the truth is this fertility monitor couldn't be easier to use. You just wear it at night while you're sleeping and it reports when ovulation is coming up. Start wearing it the first, second, or third night of your period and keep it on (at night) through ovulation. You may have to make additional sensor purchases with the Ov-Watch. The next popular monitor is the Ovacue. This is an interesting little monitor that has a sensor designed to go in your mouth! You just place the sensor on your tongue for about 5 seconds once a day. It measures electrolytes in your in your mouth and keeps track of your own personal levels. The Ovacue has an advanced tracking system that follows your fertility patterns and predicts your fertile window and your day of ovulation. The Ovacue also has an optional vaginal sensor that gives even more pinpointed information on your fertility. The ClearBlue Fertility Monitor is considered one of the best on the market and is involved in numerous scientific studies because of its high level of accuracy (it gives the same result as a fertility clinic blood test 99% of the time). Countless babies have be born after a ClearBlue was used. It's a completely non-invasive and easy-to-use system. Unlike the Ov-Watch and the Ovacue, however, it does involve test sticks. These sticks are dipped into your urine then placed in the monitor. You usually use about 10 test sticks a month and you'll need to buy more if you run out. Many, many women find they conceive before they've gone through a whole batch of test sticks. Monitors like the Fertile Focus are created to help you watch the ferning patterns of your saliva. These “ferns” are visible under a microscope and follow a definite pattern as your fertility increases and decreases throughout your cycle. The Fertile Focus includes a very powerful microscope. You simply dab a bit of saliva onto the scope then watch for the ferning patterns. Ovulation can be predicted about 72 hours in advance. The advantage of this kind of monitor is that it's not at all invasive and it's not as expensive as some of the other monitors. If you're looking to get pregnant quickly, choose a monitor and use it while you monitor your natural, outward fertility signs. A monitor can often help you get pregnant within a month or two if there are no other factors that need to be addressed. 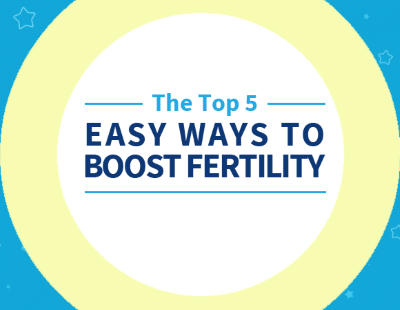 They're trusted, accurate, and non-invasive ways to work with your own fertility cycle.